Over 20 joint business meetings were held with Tour Operators; there will be an estimated 15% increase in the production of room-nights in 2016; the Destination’s hotels took part in approximately 330 appointments. 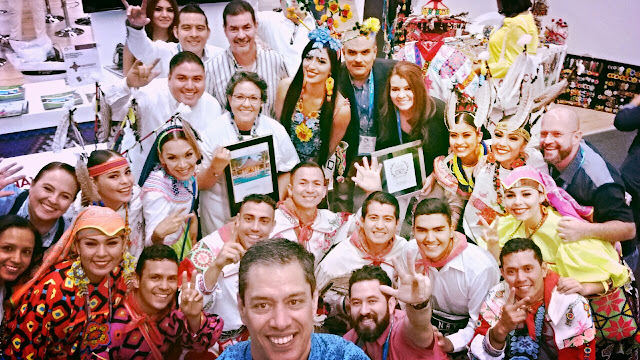 Important progress was made for the Joint Campaign with Puerto Vallarta during participation of the Riviera Nayarit in the 2016 Tianguis Turístico; they also announced increases in airlift and the positive results of strategies that were already implemented. Apple Vacations is promoting three new charter routes from Los Angeles, San Francisco and Santa Ana, and considering a possible prepaid seat block on Volaris’ new confirmed route from the San Francisco Bay area, which is still undefined as to whether it will depart from Oakland or San José. Sun Country Airlines will host its first event in August 2016 focusing on travel agents in Minneapolis with an expected audience of 350 participants. It’s important to point out that by the close of 2015 through the end of March 2016 they have seen an increase of over 260% in sales of their package deals, which is why they’re considering adding an additional flight from Minneapolis. Air Canada Vacations is launching a new flight from Vancouver this summer. This Tour Operator reported an increase of 40% in its sales of the destinations. The Destinations worked with Price Travel on a campaign in Colombia in February and March, which exceeded by 500% the room-nights sold in all of 2014. In more news from South America, there were meetings with six operators from Argentina and 10 from Brazil. Negotiations with Aeroméxico keep advancing in order to lock in special fares and time frames to stimulate these markets. The Riviera Nayarit on its own held at least 10 separate interviews with top media including the Tourism Supplement for El Financiero and Nucleo Radio Mil in Mexico, Canadian Traveller from Canada, TravelPulse.com in the United States and Hoteltul from Spain, among others. Besides the presentation of the Destination there was a speed networking session with 30 meeting planners from Mexico, Italy, the United States, Brazil, Holland, India, Canada, Korea and Poland. The 11 Destination hotels that participated in the event hosted about 30 appointments each during the three days of the event, for a total of approximately 330 appointments overall.